Potter-MacKinnon argues that the importance of the Loyalist women's endeavours was obscured in the historical record because most accounts of the Loyalist experience were provided by Loyalist men. She documents the women's vital services to the Crown in providing information and refuge to Loyalist fighters, maintaining open communication with Native allies, and helping provision the Loyalist forces. 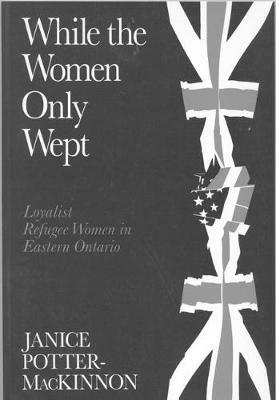 While the Women Only Wept contributes an important new perspective to Loyalist literature and adds a further chapter to women's history.